Chop the chicken’s breast and flavor them then fry it or boil it,. Draw off the tomatoes. Chop the onion and fry it with the chicken, the tomatoes, salt and pepper. Cut the pastry in even squares of 9x9 cm. Put the pastry into muffin griddles then add the mixture. Mix the egg with the salt, pepper, cream and the milk and put it over the chicken mixture. Put the tray into the oven for 15-320 min. 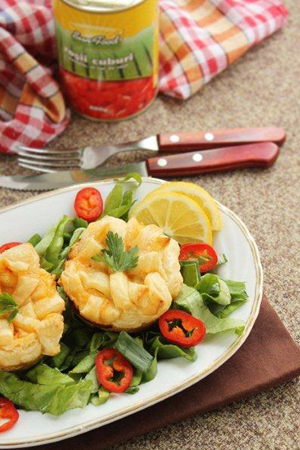 You can serve them with salad or as they are, as a starter.